We've said it time and time again, when your schedule is jam packed, pasta is one of the easiest meals to get onto the table fast. The one pot cooking method has made things even more convenient for the busy home cook. Essentially all the ingredients, including the uncooked pasta, are thrown together in a pot, covered and left to cook for 20 minutes. You will need some sort of liquid whether it be tomato sauce, stock or even a bit of water to help cook the pasta. This is a great way to use up leftovers, pantry staples or ingredients on their last leg. In other words, the one pot pasta meal will change your life. Vegan pasta alla puttanesca may be missing the anchovy but it still packs a punch of flavor. 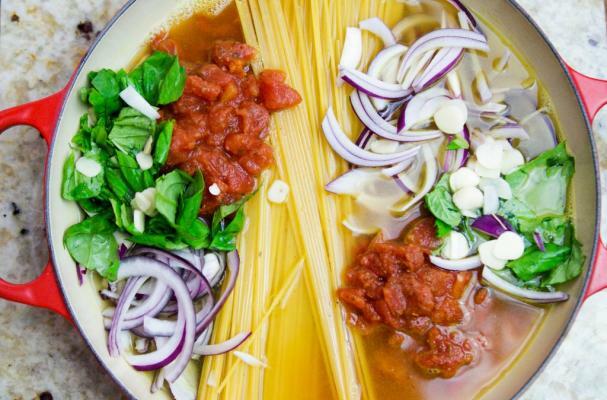 With ingredients like olives, capers and onions you know this recipe is going to be good. Whole wheat spaghetti and chickpeas are the major sources of protein in this dish so don't substitute them. Few dishes are easier than pasta with andouille sausage and tomatoes. All the ingredients are placed in a dutch oven, covered in water and left to cook. The onions, garlic and sausage flavor the water that in turns flavors each strand of pasta. The end result is something just short of spectacular. 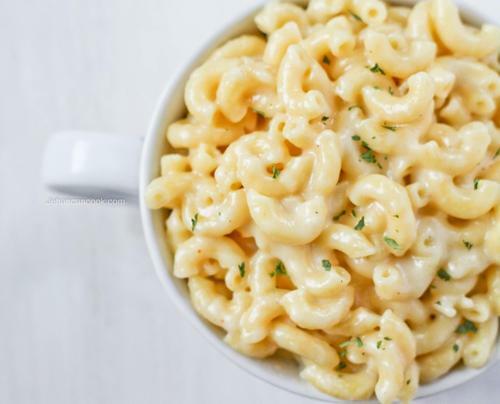 Everyone loves macaroni and cheese. It's a classic comfort food that extends generations and makes every eater happy. This stove top mac n' cheese is made from a combination of white cheddar, parmesan, and provolone cheese. Other ingredients like Dijon mustard and cayenne pepper add depth of flavor to the dish without overpowering the cheesy flavor. When spinach and sausage tortellini only takes 25 minutes to prepare, you know that it's the perfect meal for busy weeknights. The sausage is browned in a skillet before the tomatoes, spinach, and tortellini are added. You can use any flavor of tortellini for this dish but four cheese, spinach and cheese, or sausage and tomato would all be delicious options. Simple, vegetarian, and delicious, spaghetti with tomatoes and basil is a dish that beings you back to the basics. The flavors are classic while the technique is modern. I like to finish this pasta dish with cubes of fresh mozzarella for a wonderfully cheesy bite.